I'll never look at watermelon the same way again. Summer is a time for waves — of the heat variety and ones crashing to shore — and, most importantly, good eats and summer fruit. New York Times restaurant critic Pete Wells perfectly described watermelon — the pivotal part of any barbeque — as "social by nature" and eager to "join any party in sight." "Cheapskate sophomores on a bender? Carve out a plug of rind, patiently feed the melon a bottle of vodka as if you were giving baby formula to a pet pig, then stopper it up and refrigerate," he writes of how to make the summer fruit for parties. "Neo-tiki sophisticates? Saber the top off, scoop the guts out, and behold the bowl for your watermelon punch." And, my favorite: "Dinner without cooking? A half-tomato, half-watermelon gazpacho, don’t be shy with the vinegar." 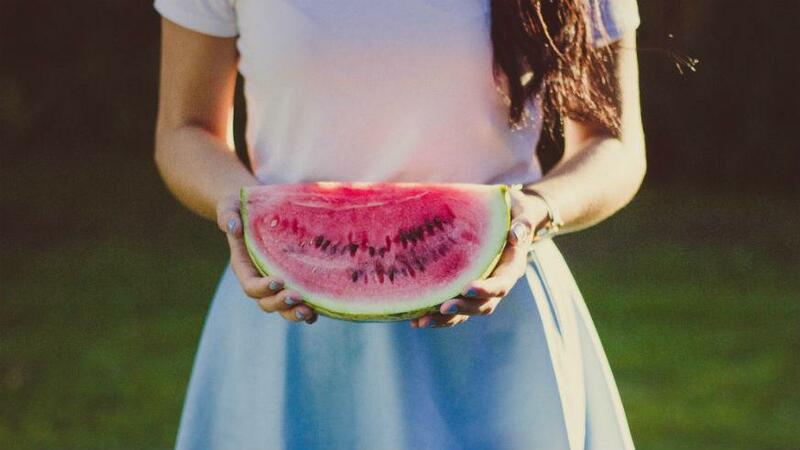 As a summer fruit, watermelon is refreshingly wonderful. But, you may be shocked to find out that the watermelon is actually a berry. Watermelon, the essential summer fruit, is a berry? We repeat: is watermelon a berry? Yes. Let us explain. By definition, berries have three "fleshy layers," Judy Jernstedt, a professor of plant sciences at the University of California, Davis, told LiveScience. As the site relates, these layers are: "the exocarp (outer skin), mesocarp (fleshy middle) and endocarp (innermost part, which holds the seeds)." The exocarp of a watermelon is its rind, then comes the pink, delicious insides and the seeds. To be classified as a berry, a fruit must have two or more seeds and must develop from "a flower that has one ovary." So, fruit that fit this category include tomatoes, peppers, cranberries, eggplants and kiwis. Bananas and oranges make the cut as well — but sadly, strawberries (strawberries!) do not. Is watermelon a berry? Yes. But what about other summer fruit? Strawberries and raspberries have flowers with more than one ovary. And, according to Jernstedt, they’re referred to as "aggregate fruit" as opposed to berries. Strawberries have multiple "achenes" — those yellow ovals on their flesh containing seeds. Both raspberries and blackberries have subunits called "drupes," which each contain a seed and comes from an individual ovary. "[It’s] kind of chaotic," Jernstedt said of the berry category. "And the scientists feel that way too. There are always attempts to impose some order on fruit classification. But this has been going on for a couple of centuries, so don't hold your breath that it's going to be solved soon." 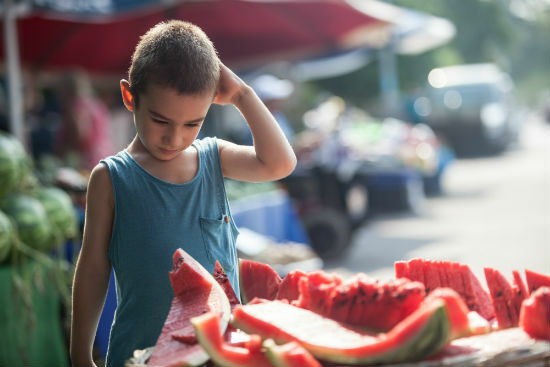 Also, as if your day wasn't already complicated enough, there's a running debate on whether watermelon can actually be classified as a vegetable. Moral of the story is this: though the flavor of a summer fruit is an open book, its name can speak lies.